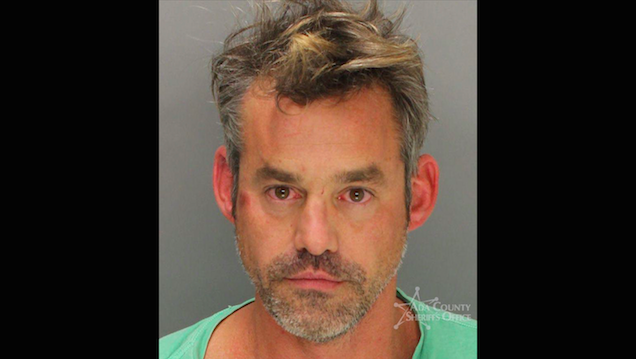 According to reports, police in Tallahassee arrested Buffy the Vampire Slayer actor Nicholas Brendon this weekend—his third convention-related arrest this year. Brendon was arrested for destruction of property and released on Saturday. He was also arrested on similar charges last month at a different Florida convention center, where he apparently declined to pay for his room service charges. Despite his growing arrest record, he tells the Tallahasee Democrat the conventions are actually good for him. "These events kind of give me help and I love meeting my fans," he said. "So, it's kind of like the refuge outside of my head."